He put before them another parable: “The kingdom of heaven is like a mustard seed that someone took and sowed in his field; it is the smallest of all the seeds, but when it has grown it is the greatest of shrubs and becomes a tree, so that the birds of the air come and make nests in its branches,” (Matt 13:31-32). We stood on the stage listening to the closing remarks from a member of the Salvadoran Ministry of Education. I was blown away looking out at the 380 teachers sitting in front of us, we had only expected 250. It was the end of our Recursos Conference and all I could think about was how our efforts would impact students and in turn, their families. Hope and joy swelled within me as I pondered all that God was doing in our midst. I remembered my first Recursos Conference in 2017 when there were only 75 teachers. However, during my week of service with the March delegation, I was overwhelmed to not only witness the growth of our conference, but also the growth of our student interns who helped facilitate it. We were blessed to offer resources in the form of educational workshops, curriculum ideas, and much needed supplies to teachers who had few at their disposal. We were even more blessed to do it alongside our budding student interns. Each assisted one of the 5 conference workshops with a hunger to better understand and apply God’s Word in their efforts. They continued to demonstrate a growth in development, both in their biblical studies and in their occupational skills (education or ecology) over the past two years. During the week prior to the conference, team delegates spent hours with the interns, offering seminars to help them better manage their time, read more efficiently, and critically understand the information they were being taught. Their growing confidence was evident as they played an integral role in the culminating events of the week surrounding the conference. We look forward to the day that sees our cooperatives and interns not only help with the conference, but teach at them as well! A teacher presents her “Vegetable Super Hero” short story as part of the workshop facilitated by John Edmondson. This was an example activity that teachers can implement to teach both nutrition and creative writing. 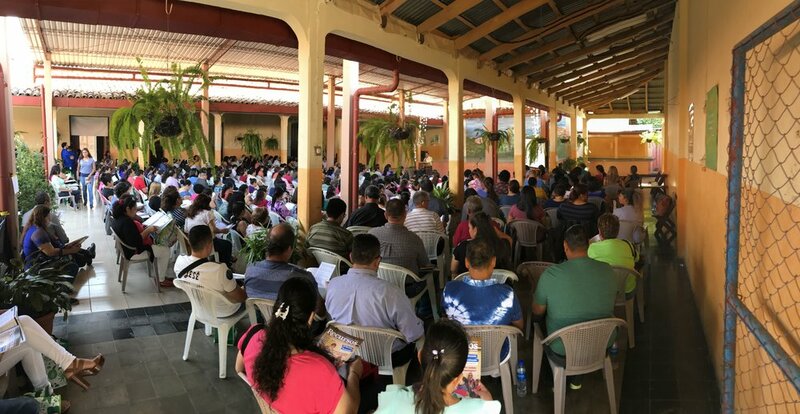 Our March 2019 Recursos conference was the largest yet! The day required our team of 15, including presenters, administrators and our student interns, to give the best of our gifts to ensure it ran smoothly. 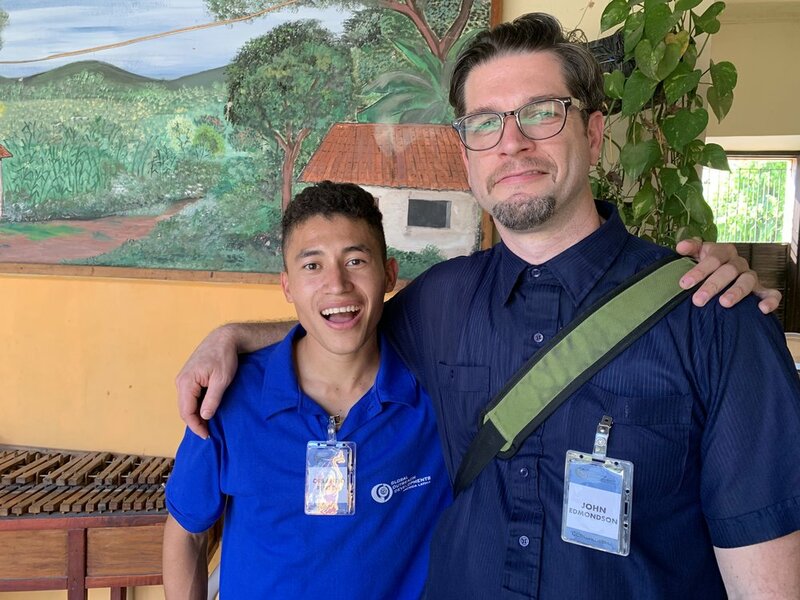 Encouraging and developing our student interns through opportunities such as hosting the Recursos Conference was a huge focus of our week serving in El Salvador. Student Intern Orlando (L) assisted John Edmondson (R) in facilitating the conference workshops. Our delegation team facilitated several student development seminars and assessments for our interns throughout the week including note taking, reading for critical comprehension and the inductive study method to name a few. Here, Rafael Reyes (pictured) leads an assessment on reading comprehension.